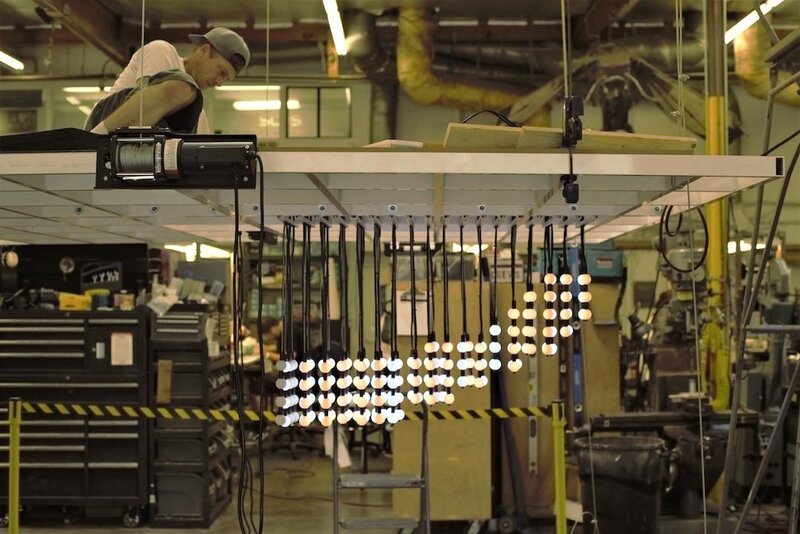 We scored big time on this 14-foot high LED sculpture. We're fast on our feet! Whether you call it fútbol or soccer, fans of all nationalities adore this thrilling sport. And to help celebrate the El Clásico Miami Soccer Tournament, we were asked by SET Creative to take part in a fast pace project that resulted in a brilliantly stunning LED sculpture showcased at the Nike store in Miami Beach, Florida. 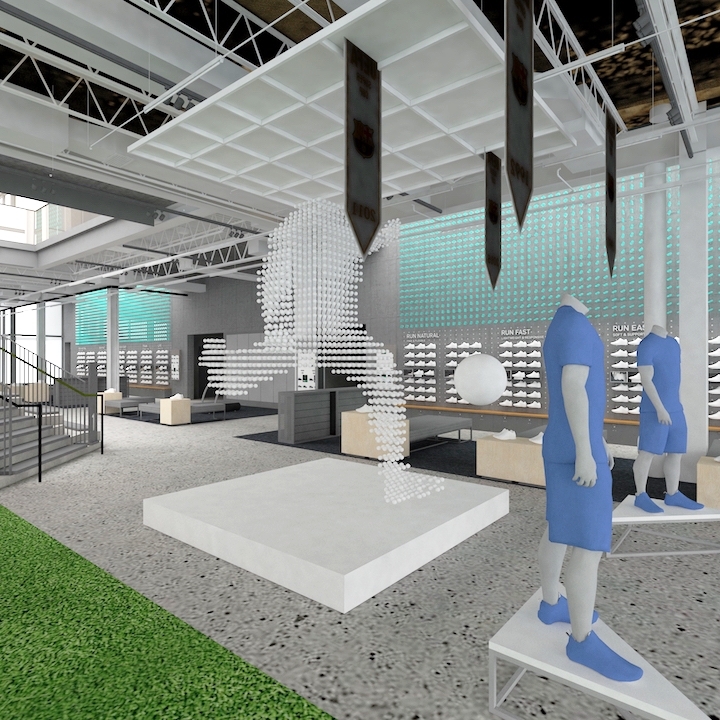 With only two weeks to complete the entire project, we first transformed the initial concept art for this 14-foot hanging soccer player frozen in mid-kick, into a design quickly approved by Nike. With over 16,000 individually programmed LED’s and 51 micro-controllers to procure, our reliable overseas connection supplied us with these high volumes of materials needed to complete the job on time. Our in-house crews worked in unison around the clock to weld, laser cut, fabricate, wire, program, 3D print– in other words “make magic happen” - to have this luminous interactive sculpture ready for crating and shipping by the end of the two weeks. Upon completion, our crew headed out to Miami Beach for the overnight install of the sculpture along with a mirrored platform we constructed that reflected the LED’s from above. To top it off, we programmed the LED’s so they can be controlled remotely, giving the option to change the color of the soccer player’s uniform and shoes. With the sculpture hooked up to Wi-Fi in Miami, we were able to remotely transform the colors of the LED’s from or studio in Los Angeles as requested by the client. Although the sculpture is no longer on display in Miami, keep an eye out for this fútbol/soccer player possibly making a debut at a Nike store near you.